$35 per Passenger Access Membership. Passenger Access Memberships are non-transferable and non-assignable. 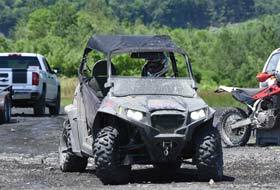 Permission is granted to be a passenger on an UTV and/or full-size vehicle with an operator having a valid Access Membership only. A passenger membership does not give you access to hiking, biking, hunting and operating any vehicles. The Passenger Access Membership holder must be accompanied by a valid Access membership holder at all times while on FRO properties. I certify, that I am a Parent/Guardian with legal responsibility for the above named Minor Participant, and I further do consent and agree to the Minor’s release of Famous Reading Outdoors, LLC, Reading Anthracite Company, and their respective shareholders, employees, owners, members, insurers, agents, representatives, affiliated entities, and all other Released Parties from and against any and all claims, demands, actions, costs (including but not limited to reasonable attorney fees), damages, liabilities, expenses and/or judgments which are or may be related to, directly and/or indirectly, and/or arise out of from Minor Participant’s use of the Access Permit and/or any activities incidental thereto. I further agree that this Release includes any and all current and/or future claims and/or causes of action, foreseen and/or unforeseen, that may be raised by the Minor Participant, myself, and our respective heirs, personal representatives, next of kin, relatives, successors, and/or assigns. I acknowledge that I have read and understand the terms and conditions of the attached Access Permit with Release and Indemnification and by my signature and initial hereon, I acknowledge that I am authorized to sign this certification and that I approve of and agree to the same (Access Permit with Release and Indemnification together with any and all other documents and/or agreements related to Minor Participant’s use of the Access Permit) on behalf of the Minor Participant and as if I was original signatory to any and all documents signed by the Minor Participant. 1. This Passenger Access Permit is valid for calendar year 2019. This Passenger Access Permit shall terminate at sunset on December 31, 2019 unless FRO terminates this Passenger Access Permit earlier. This Passenger Access Permit is only valid for one person who agrees to have photo identification on him and/or her at all times while on FRO Properties. Passenger may only be on an off-road vehicle being operated by a valid Access Permit holder. 2. Passenger Access Permits are non-transferable and non-assignable. If FRO determines that this Passenger Access Permit has been used by any person other than the Passenger, this Passenger Access Permit shall be immediately terminated and the Passenger will forfeit this Access Permit for the remainder of the calendar year. Further, the Passenger agrees that he or she will be banned from purchasing another Passenger Access Permit, Access Permit, and/or any other permits from FRO in the future. The Passenger understands and agrees that any person found to be using this Passenger Access Permit without signing for it will be prosecuted under the laws of Pennsylvania and for trespassing on FRO leased property and/or property owned by Reading Anthracite Company (“RAC”). FRO currently leases certain real property from RAC, which is set forth on Exhibit “A” (“FRO Properties”). 3. This Passenger Access Permit provides Passenger with permission to be on FRO's Properties for the sole purpose of being a passenger on a vehicle between sunrise and sunset, excluding those properties where there is active mining or any other working facilities or any posted properties by FRO, RAC, and/or any other entity. The Passenger must have this Passenger Access Permit on his or her body at all times at all times; otherwise, said person without a valid Passenger Access Permit and/or Access Permit will be removed from FRO Properties and/or any other properties owned by RAC. The Passenger must have a separate Passenger Permit from FRO on them at all times, which must be visible on the Passenger. The Passenger agrees that he or she may not enter FRO Properties prior to sunrise and/or remain on FRO property after sunset. This Passenger Access Permit does not grant Passenger access and/or any rights to enter onto any other property owned and/or leased by FRO, RAC, and/or any other entity of the Rich Family of Companies. Further, this Passenger Access Permit does not grant Passenger any rights to operate any vehicle, hunt, and/or to use the FRO Properties for any other purpose other than being a passenger on a vehicle operated by an individual with a valid and regular Access Permit. 4. Permission is granted for Passenger to be on a passenger on an atv, utv, motorcycle and/or any other vehicle with an operator having a valid Access Permit only; provided however, camping, hunting, operating any vehicles, overnight camping, fires, bon fires, swimming, fishing, trapping, or any organized events such as races or parties are strictly prohibited. The Passenger acknowledges and agrees that he or she is not permitted to operate any vehicle on FRO Properties. The Passenger agrees that he or she is not permitted to have any type of fire on FRO Properties. Further, the Passenger agrees that the use of alcohol, drugs and controlled substances on FRO Properties is strictly prohibited. The Passenger agrees that he or she shall not be under the influence of any alcohol, drugs and controlled substances while on FRO Properties. 5. The Passenger is encouraged to report to FRO any person that he or she observes trespassing on FRO Properties to FRO; provided however, Passenger agrees not to engage and/or interact with any person that he or she suspects of trespassing. If any such report leads to the prosecution of a trespasser, then the Passenger shall receive a free passenger access permit for the following year unless the Passenger is in violation of this Passenger Access Permit. 6. The Passenger affirms that he or she is at least 12 years of age. If any Passenger is under the age of 18 years of age, the parent(s) or legal guardian of the Passenger shall join and sign this Passenger Access Permit. Release, hold harmless and discharge FAMOUS READING OUTDOORS, LLC, READING ANTHRACITE COMPANY and/or their respective owners, operators, affiliated companies, stockholders, stockholder family members, directors, officers, agents, servants, members, employees, all entities that are part of the Rich Family of Companies, successors and assigns (collectively “Released Parties”), from any and all claims, demands, actions, costs (including but not limited to reasonable attorney fees), damages, liabilities, expenses and judgments which the Passenger ever had, or now have, or may have, or which Passenger’s heirs, executors, personal representatives, administrators, successors or assigns may have, or claim to have, against any of the Released Parties for all personal injuries to the Passenger (including but not limited to bodily injury, severe bodily injury, and/or death), known or unknown, and injuries to any of Passenger’s property, real or personal, caused by, or arising out of, directly and/or indirectly, the use of this Passenger Access Permit by the Passenger. Indemnify, defend and hold harmless FAMOUS READING OUTDOORS, LLC, READING ANTHRACITE COMPANY, and the other Released Parties referenced in subparagraph A above, from and against any and all liabilities, claims, suits, demands, actions, expenses costs (including but not limited to reasonable attorney fees), and/or judgments, arising from any personal injury (including but not limited to bodily injury, severe bodily injury, and/or death) and/or property damage that the Passenger causes to any other individual, person and/or entity while the Passenger is on FRO Properties. Reimburse FRO and/or RAC at replacement cost for any damage caused by the Passenger to any FRO and/or RAC real property and/or personal property while on FRO Properties and/or while using this Passenger Access Permit. 8. The Passenger agrees to comply with all applicable laws, rules and regulations of the Commonwealth of Pennsylvania, Foster Township, Cass Township, and any other municipality where the Passenger may access FRO Properties pursuant to this Passenger Access Permit. A copy of the ordinances issued by Foster and Cass Townships, as of 2017, are attached to this Passenger Access Permit for your convenience. It is the Passenger’s responsibility to become fully familiar with said Ordinances and any changes and revisions made to said Ordinances after the date of this Passenger Access Permit. FRO is not responsible for any future ordinances, changes, and/or revisions, but rather said responsibility rests solely with the Passenger. 9. Any Passenger who violates any laws, rules and regulations, be they Federal, State or Local, will have his or her Passenger Access Permit revoked and terminated without refund of any monies. 10. FRO and RAC do not warrant the condition of the FRO Properties and the Passenger assumes any and all risks associated with entering and using FRO Properties. Passenger acknowledges, acknowledges and agrees that (a) recreation activities such as off-road activities are inherently dangerous and assumes all risks including but not limited to the risk of bodily harm, severe bodily harm, and/or death; (b) FRO and RAC have not made any warranties and/or representations, written and/or oral, with regards to the condition of the FRO Properties; (c) FRO, RAC and its affiliated companies, owners, insurers, employees, and/or agents have absolutely no obligation to ensure my safety while on FRO Properties; (d) FRO Properties are not maintained and there may be boulders and other objects located on FRO Properties; (e) my use of the rights granted under the Passenger Access Permit to enter upon FRO Properties may result in injury and/or illness, including but not limited to bodily injury, disease, strains, fractures, partial and/or total paralysis, death or other ailments that could cause serious disability; (f) these risk and dangers may be caused by the negligence, intentional acts, and/or omissions of myself, other individuals granted access to FRO Properties, other individuals, FRO, other entities and/or their respective agents, insurers, employees, and/or representatives; and (g) by my entry onto FRO Properties, I HEREBY ASSUME ALL RISKS AND DANGERS AND ALL RESPONSIBILITIES FOR LOSSES AND/OR DAMAGES, whether caused in whole or in part by the negligence, intentional acts, and/or omissions of myself and/or others. 11. Passenger warrants and represents that (a) the vehicle(s) that Passenger will be a passenger on is/are lawfully registered, inspected, and insured, and that Passenger has no knowledge of any condition that might render the vehicle(s) unsafe in any manner; (b) the Passenger is physically and mentally healthy and able to ride said vehicle(s); (c) the Passenger has no condition, physical and/or mental, that will put him/her and/or others at risk while on FRO Properties; (d) the Passenger will not be a passenger on the vehicle(s) under the influence of alcohol, drugs, and/or any other substance; and (f) the Passenger will not bring alcohol, drugs, and/or any other illegal substances onto FRO Properties and/or will not provide any alcohol, drugs, and/or any other illegal substances to any other individual including but not limited to minors. 12. Passenger Agrees to wear a governmentally approved safety helmet at all times while riding on any type of vehicle, ATV, motorcycle, bicycle, UTV, dirt bike, and/or any other off-road vehicle. Further, Passenger agrees to wear a seatbelt and/or safety harness at all times while riding on any type of vehicle, ATV, motorcycle, UTV, dirt bike, and/or any other off-road vehicle. Passenger agrees to wear proper footwear. Failure to comply with any of the terms of this Passenger Access Permit, including but not limited to this paragraph, will result in the immediate termination and revocation of this Passenger Access Permit without any refund. 13. Any Passenger, whose actions cause Foster Township, Cass Township, any municipality, or any governmental agency to cite, ticket or fine FRO and/or RAC shall have his or her Passenger Access Permit immediately terminated without refund of any monies. Further, the Passenger who causes such a citation agrees to indemnify RAC, FRO and the other Released Parties set forth in Paragraph 7A above and said Passenger shall pay and be solely responsible for any and all fines, costs, and attorney’s fees incurred by FRO and/or RAC on account of said citation or ticket. 14. Passenger acknowledges and agrees that Passenger has read this document and fully understands its terms and fully understands that he/she has given up substantial rights by signing it, and Passenger is signing it freely and voluntarily without any inducement. 15. This Passenger Access Permit shall be governed by the laws of Pennsylvania. The captions used herein are for the convenience of the parties. If any paragraph of this Passenger Access Permit shall be held unlawful, invalid or enforceable, that paragraph shall be deemed deleted and without prejudice to the lawfulness, validity, and enforceability of the remaining paragraphs and sections. This Passenger Access Permit is binding on Passenger and his/her respective heirs, personal representatives, successors, and/or assigns. I certify, warrant and represent that I have all required documentation to be a Passenger as set forth on the Passenger Permit. Further, I certify, warrant, and represent that all required documentation will be current and valid throughout the term of the Passenger Permit. While on FRO Property, I agree to have all required documentation on me at all times. Upon request from FRO, I agree to promptly provide copies of all required documentation. I certify, warrant and represent that I fully understand that this Passenger Permit only permits me to be on FRO Property for the sole purpose of being a passenger and in accordance with the Passenger Permit. Further, I certify, acknowledge and agree that I may not enter FRO Property for any other purpose including but not limited to hiking, hunting, and/or any other purpose unless I first purchase an Access Permit from FRO. I certify, acknowledge and agree that I am the only person that is permitted to use the Passenger Permit and that said Passenger Permit cannot be transferred and/or assigned to any other person and/or individual. I certify, warrant and represent that I am complying with all applicable federal, state, and local laws, statutes, ordinances, rules and regulations. Allow Famous Reading Outdoors to keep me posted to news, highlights, events and promos.